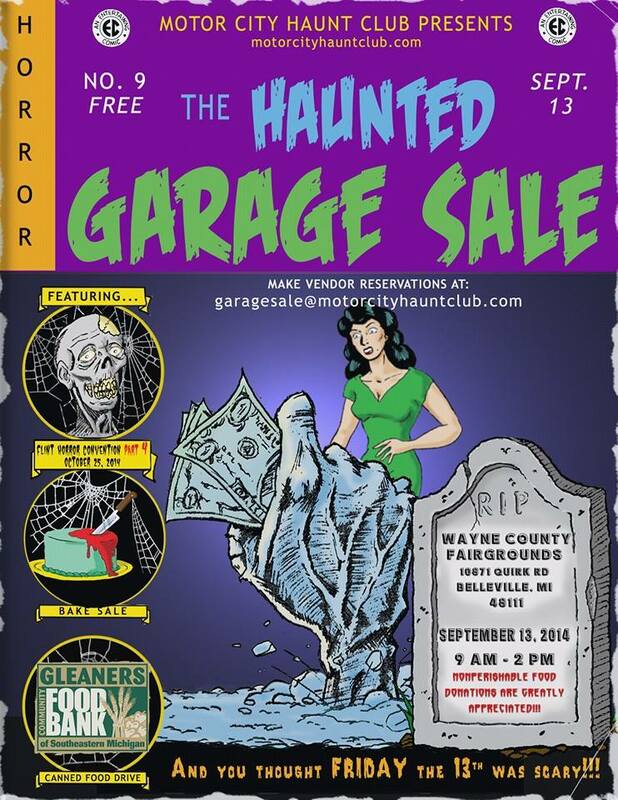 This Saturday, September 13, 2014 the Motor City Haunt Club will hold the 9th annual Haunted Garage Sale at the Wayne County Fairgrounds. In addition to props, animatronics and other Halloween goodies there will also be a bake sale and canned food drive so be sure to bring along a few nonperishable donations. The Wayne County Fairgrounds are located at 10871 Quirk Road, Belleville, MI. 48111. The Haunted Garage Sale will run from 9am – 2pm. How can you not love that E.C. Comics inspired artwork? !